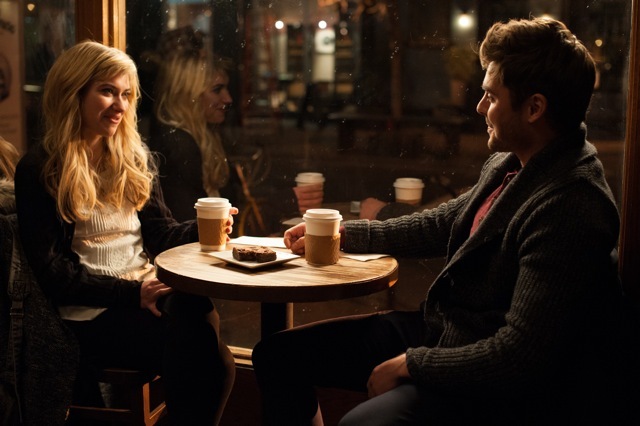 FILM REVIEW: Are We Officially Dating? “So… What do you want to do with this?” is a question many daters dread. We’ve all been there and done that in our love lives; we’ve all endured highly confusing conversations and found ourselves in situations where we’d wished the ground beneath would open up and swallow us. Which is why the ability to poke good-hearted humour at these very human things and a stellar young cast make Are We Officially Dating? perhaps the ultimate contender for the title of 2014 Valentine Day’s flick. Written and directed by emerging filmmaker Tom Gormican, the movie revolves around three sort-of musketeers: unattached Manhattan flatmates Jason (Zac Efron) and Daniel (The Spectacular Now’s Miles Teller), young, hip and ever-so-slightly-smarmy publishing company employees, and Mikey (The Wire’s Michael B. Jordan), a considerably more settled-down hospital worker. When Mikey breaks up with his wife Vera (Jessica Lucas), the boys invite him to move in with them and live up the bachelorhood. All three join an impromptu “no relationships” pact, yet no later than they hit the clubs, matters get complicated with the arrival on the scene of Ellie (Imogen Poots, familiar through 28 Weeks Later), an ambitious, level-headed girl with a fondness for spontaneity and sarcasm to match Jason’s. Although the latter executes a swift post-coital runner, he is gobsmacked to see Ellie in his company’s office as a client and offers her a sincere apology, which she accepts. The two begin seeing each other — but not officially dating just yet. Right on cue, the boys’ pact unravels: wisecracking Daniel, although terrified at the prospect of a female face in their “den of masculinity”, finds himself outside the friendzone with his longtime consigliore Chelsea (Mackenzie Davis), while Mikey inexplicably starts dating his ex-wife. Goodbye singledom; hello feelings and subsequent confusion. Like numerous modern rom-coms with a twist, Are We Officially Dating? centres on a particular demographic: career-focused young people paranoid about forming “official” relationships. Although it doesn’t really break new topical ground, the film provides plenty of useful commentary in its accurate dissection of a commitment-phobic generation and the “Wal-Mart attitude”, or the habit of trying to get rid of someone as soon as they become “too much” for you. And once again, the performers do a spectacular job: ex-teen heartthrob Efron once again proves his worth as an organic character actor; Teller shoots off one uproarious one-liner after another and both Poots and Davis turn in superb performances as assertive young females who know exactly what they want and have no qualms in voicing their displeasure at their partners’ behaviour. Take your date out to see this, absorb the sentiment and get an idea. Are We Officially Dating? (romantic comedy, USA. Running time: 91 mins) is out now. Denis Semchenko is OffStreet’s former music editor. He is a writer, social media addict, vinyl enthusiast and serial muso. You can annoy Denis @gigarussian.